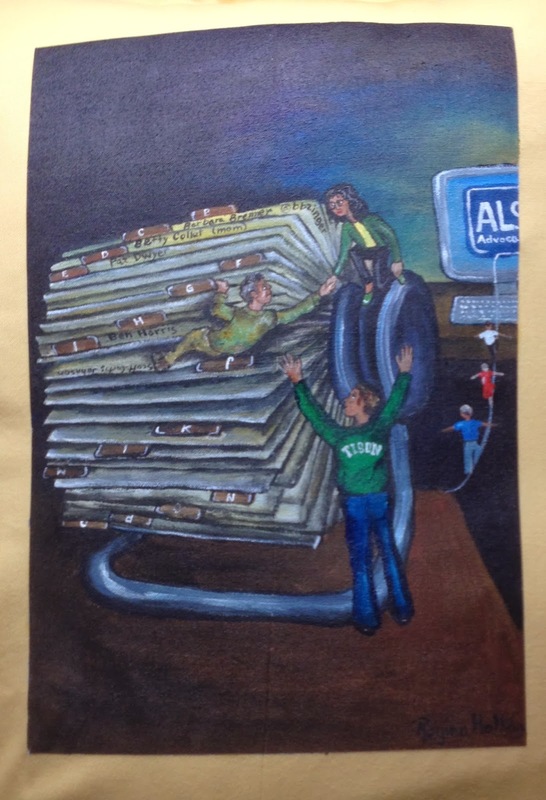 Thank you so very much for your talented art work, and the way you honored my husband Pat, and all those who lived with ALS. I appreciate it so much. May your 2014 be successful, and full of many "hits." Thank you Jenny. I am so glad I have the opportunity to meet you and your Pat through our dear friend Cathy. It is my great hope that 2014 will be a year of great change within medicine. So appreciate this round-up, Regina and especially that you've mentioned your church. As you know, I'm forever trying to get healthcare leaders to speak/write/tweet publicly about their faith. Anyhoo, glad you mentioned Christ Lutheran. Over the past few years of working ecumenically (encouraging church communities to use social media tools) I have been consistently delighted by the warmth and generosity of ELCA congregations and synods. I'm so glad you've found a church home in your new hometown. Great post and thank you for all you do! I also hope 2014 is a great hear of change. Thanks for being an inspiration and a tireless advocate. Thank you Amy for all the work you do in this sacred cause. What a wonderful box of memories. Keep on marching, grrlfren - and I gotta say that both Freddie and Isaac look GREAT. Happy, smiling ... good move, Mama. Some days are really great days, and I am ever so thankful for those days.